Bubble gum was invented in 1928 and is enjoyed by people of all ages. 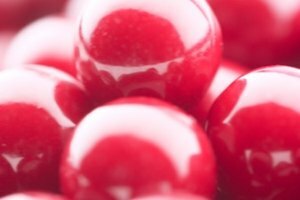 Bubble gum is made from synthetic chemicals and different brands have different recipes. 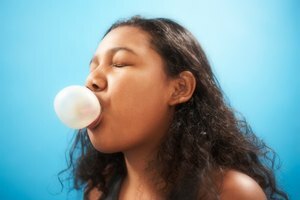 Bubble gum is different than chewing gum, as it is more stretchable and less sticky. The largest bubble blown was 25 inches in diameter. This trick is quite simple and can be used to trick friends. Blow a bubble from bubble gum and put it in the freezer. Wait until the gum is frozen; this should take less than an hour. Take the gum out and the bubble will be frozen solid and quite hard. Immediately put the gum back in your mouth and remark to friends (who didn't know the gum was frozen) that you have just blown a very strong bubble that can not be broken easily. Try to pop or pierce it and the bubble should remain in tract. Chew a large amount of bubble gum. Use only a portion of that gum to blow a bubble. 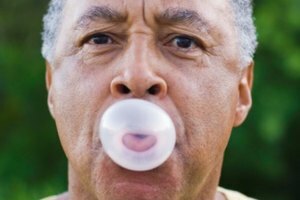 Keep that bubble out of the mouth and use another portion of the gum to blow a second bubble. Keep doing this until no more bubbles can be blown. Then put them back together again, with the bubbles intact. Put the gum back in your mouth with the bubbles sticking out. Most people have gone to the dentist to have molds made from their teeth. 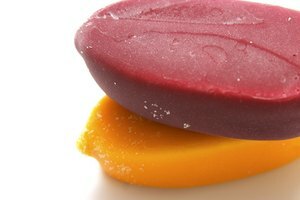 Bubble gum can also be used to create molds. Bubble gum holds it shape better than normal gum and creates very realistic molds of teeth. Chew a large amount of bubble gum until it is nice and soft, then roll the gum into a cylinder with your teeth and arrange the gum along the teeth and bite down. The gum will spread over the teeth making a mold of them. The gum can be removed and used as a display of the teeth. The gum can even be frozen and saved. The famous bubble within a bubble is very tricky to pull off, significant skill and tongue dexterity are required. The end result, if done correctly, is a large bubble with a small bubble inside it. First blow a small bubble, store the bubble in the mouth under the front teeth. Begin blowing a large bubble; once the bubble is blown, use the tongue to flick the smaller bubble into the large one. Press the lips down to seal the bubble shut. This trick takes practice.